Your table set-ups will look elegant when you start with matching placemats. These quality, high-wear placemats are made from a variety of materials. Genuine Leather, Bonded Leather and Castilian Faux Leather. Custom coloring, sizes and shapes available. All have turned edges and are stitched for a polished look for fine dining establishments and county clubs. Be sure to add your logo. 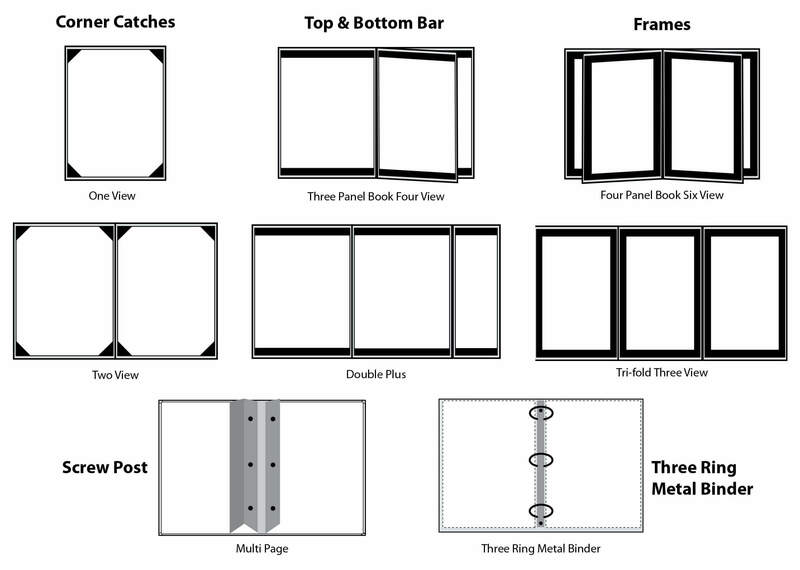 Complete your table top or Board Room presentation with matching placemats. 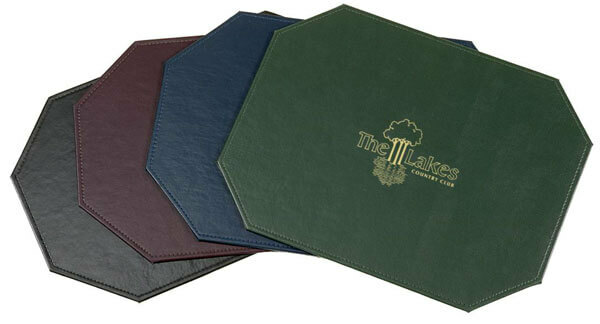 These elegant and durable placemats are stitched over rigid chip board for extra strength. Choose from our most popular Castillian Faux Leather or one of our custom colors and textures to match your décor. All of our materials wipe clean with warm soap and water. Standard placemat sizes are 11″ x 17″ and 13″ x 19″. Custom sizes available.